I think usually I'd say oranges but as of late I'm really digging Fuji apples. uh... BUT I DO LOVE CAKE. cheese! No doubt about it! usually winter, but summer, mang. I've gotta say Anthony, only because I like more Chili Peppers songs. Probably kitties, but it's a close one! Gig with bad seating or live dvd? candles, cant stand the smell of insense. knives... you can't cut your food with a gun. 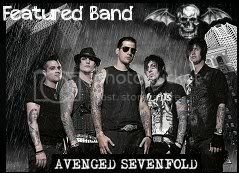 Awesome lyrics or awesome instrumentals? That's a tricky one, It really depends on what type of music I'm listening to, or what mood I'm into, I'm obviously not going to be listening to some grindcore band for the lyrics... but lyrics and instrumental factors of music are both equally important, if not instrumental more important, so I guess instrumental. 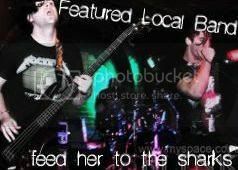 feed her to the sharks for buried in verona!